Tracy tells Luke about AJ’s verdict being in. She feels AJ is getting what he deserves for killing her friend. She asks about Sean Donnely. Luke tells her he’s showing signs of improvement from the cure. Luke mentions Jerry has completely disappeared and thinks Ava helped. Tracy wants him to stay away from the Jeromes and Jerry. She doesn&apos;t want him to become a target. They have a lot to celebrate. Scotty is thrilled the jury is back so quickly, until they find AJ not guilty. He yells at them for not doing their duty, but the judge is quick to shut him down. All charges are dismissed. AJ is confused. Michael points out there wasn’t enough evidence. Scotty warns AJ. he may have been found not guilty, but he’ll never be innocent. Sam warns Carly about Julian. She tells her she accidentally let Lucas’ name slip in the heat of the moment. Carly is angry and worried about Lucas’ safety. Sam realizes Carly is dressed for a date with Franco. 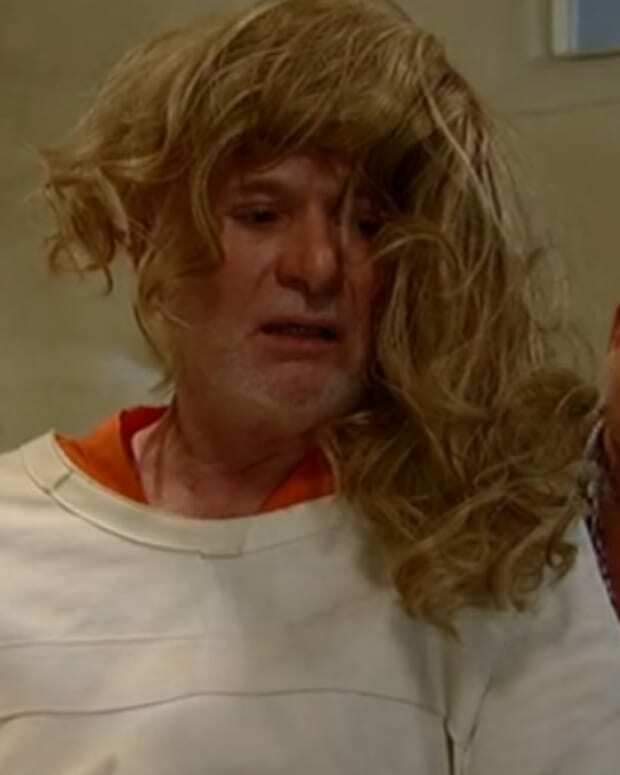 Carly admits she’s seeing him and claims he’s no longer a psychopath. Sam wonders what Jason would think, but Carly feels Jason would stand by whatever decision she made. Lucy runs into Franco and warns him Heather is dangerous and to stay clear of her. She also wants to talk about Scotty. Franco needs to make the effort to get to know his father. Franco says Scott wants nothing to do with him. Lucy promises to talk to Scotty on his behalf. Ava’s worried about Carlos. He hasn’t checked in. Julian tells her Carlos is off licking his wounds because of Sabrina’s wedding. He can take care of himself. Julian tells his sister about Sam dropping the name Lucas. He wonders what that’s about. Ava says the only Lucas she knows is Luke. Julian is certain Spencer isn&apos;t who Sam was talking about. Sonny makes Carlos dig his own grave. The Jerome family enforcer begs for his life. Sonny says he would have killed him already, but he was making sure Carlos wasn’t related to Lily. Carlos says he’s Lily’s brother, his mother kept him away from their father’s life. Sonny decides to keep Carlos alive until he can found out the truth. He promises to kill him if he’s lying. 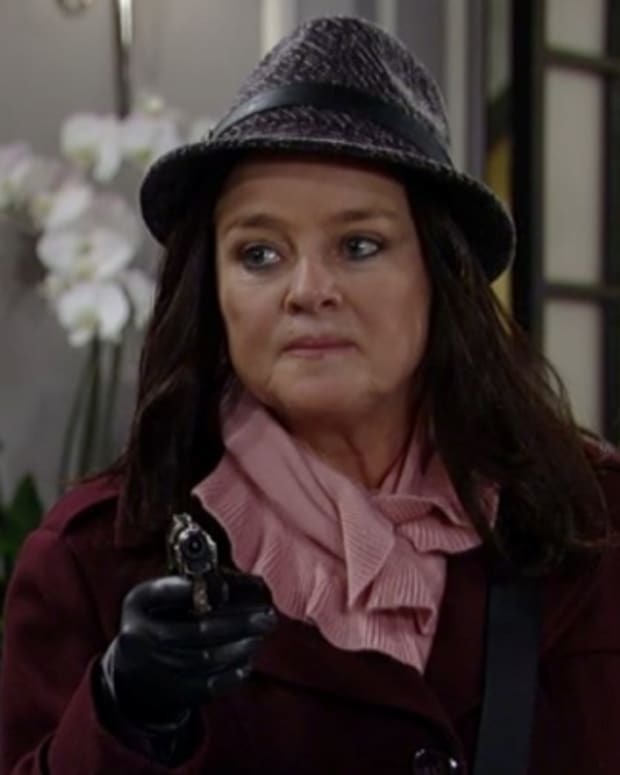 Lucy confronts Scotty about his behavior towards Franco. He&apos;s a better person now that the tumor is gone and needs Scotty’s guidance. Scott feels Franco needs a shrink, not a father. He tells Lucy about failing to convict AJ of Connie&apos;s murder. Scott&apos;s angry. He lost Laura and now possibly his political career. Lucy is all he has left. Scott instructs Lucy to go home to Kevin. She admits they’re separated. She’s been staying in her office. The exes kiss. Tracy is shocked when AJ strolls into the living room. Michael says there was no evidence. Tracy points out Michael paid for his crime, but AJ won’t. Connie deserves better. Luke wonders why Michael isn’t angry AJ is walking free, when he did time. AJ wonders if Michael will resent him. Monica simply wants to celebrate his victory. Later, when he’s alone, AJ drinks some champagne. Michael calls Sonny to let him know AJ was found not guilty. Michael asks his father not to take the law into his own hands. Sonny talks to Lily’s grave. He promises not to kill Carlos, if he is indeed her brother. 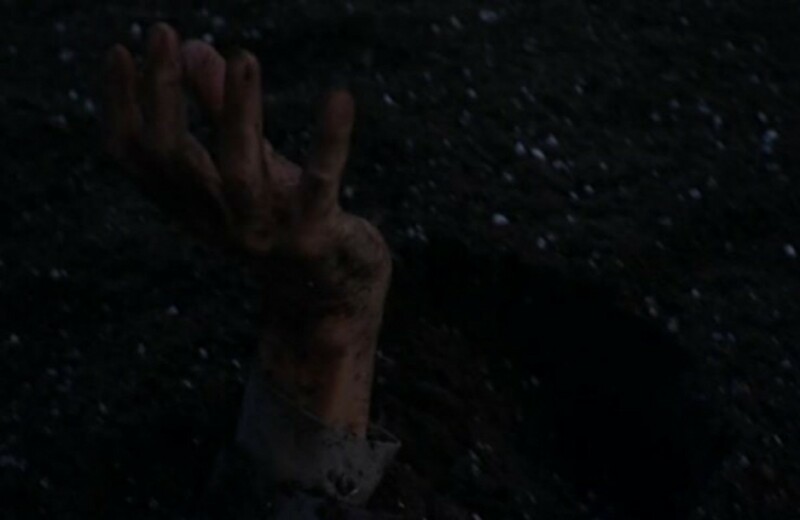 Franco drags Heather to the cemetery and stumbles across Carlos’ pre-dug hole. He tells Heather’s body she made him do it — to protect Carly. Franco dumps her in and buries her. Carly calls looking for him. Franco leaves, seconds later Heather’s hand comes out of the grave.